hi, can you watch youtube on your samsung Ch@322? please reply user only. hi, can anyone tell me does this phone support opera mini 5.1 and what about the internet speed? Is it fast or slow? I face a serious problem.Under a particular tower i can not make any call.But at the same place when i use another Dual SIM mobile at that time i can make call.My both SIM is BSNL.Same SIMs are used in Samsung Chat 322 & Samsung c5212.Samsung Chat 322 not work but Samsung c5212 work.But other operators SIM work properly at that place inside samsung chat 322. I use Samsung chat 322.Please any body help me to solve the problem. Theams & Mobile games for Samsung chat 322 are available in the internet???? shridhar, 01 Feb 2011can anybody tell me whether both sim are activated on this phone.........or is it just like ot... moreyes baby itz dual standby clear naaa....? 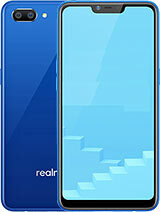 i bought this phone 2 weeks back , Overall it is good phone and value for money. Since 2days i am trying to sync this mobile with my outlook by using GPRS, When i tried to sync it is asking me enter new password once i entered it continuing sync 1 min and suddenly it is restarting, I tried so many times but every time when i tried to sync it is restarting. Please could any one tell me how to utilize microsoft sync to sync my outlook in this mobile. jack, 01 Feb 2011Just bought this phone about a week, previously i was using nokia's phone. My opinion is i sti... moreWell it's quite the same when you compare the nokia and samsung, they are both interms of claims. No phone is stable! It depends upon the user on how he uses it and if he/she likes it. plz confirm can we install java application like opera mini. 4.2 or 5.1 in this phone ? Can we watch youtube on this mobile? please reply user only. sms is only at 300 limit for phone. but it adds for the sim capacity. Masud, 01 Feb 20112 Sim (dual standby) means 2 Sim are active ???? Please give me the answer.May be its like that u get one sim active another stand by then u will have to switch on to the other sim to activate that.That means u can only use one at a time........I'm guessing and it sounds so........!! !